This acclaimed company is a specialist provider of popcorn ceiling removal services and owe our success to the great expertise and dedication of the professionals on our team that are fully facilitated to carry out projects of large sizes and high level of complexity for residential and commercial customers. We hold an excellent reputation for being punctual, skilled, and accurate. When you turn to us, all of your requirements are met and produce the perfect result. The skilled team is fully flexible and this enables us to provide professional popcorn removal solutions of the highest quality. We act extremely quickly and without any kind of hesitation when the finish is greatly damaged and poses a serious threat to people and assets. If you want to take your time so you can plan a complete home improvement project, our experts are readily available to assist with everything necessary. Once, your requirements are outlined, the whole project is completed for you. In addition to removing finishes, we install new ones as well and do the work if you need the ceiling insulation replaced. We are here to offer absolute perfection. Having established a flawless work process which is designed to deliver the required outcome right on time, trust you are in safe hands. It works superbly even when it comes to complex tasks such as asbestos popcorn ceiling removal. It begins with running a full inspection. Then we produce a complete plan which is based on the most effective removal technique for the respective finish. 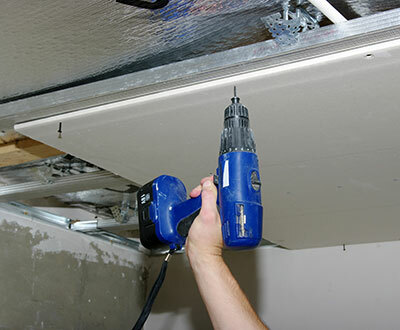 "Drywall Repair Reseda", always takes required measures for protecting people and property. Technicians work meticulously to remove even the tiniest traces of the finish. Our range of professional services includes ceilings repair and patching that works with all types of finishes without exception. 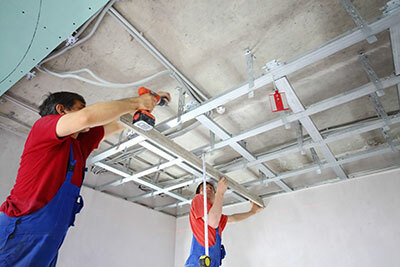 We fix drywall, tiles, and drop ceilings to eliminate all kinds of issues completely. Whether there is extensive moisture damage or one big hole, the problem is dealt with effectively in no time. You obtain complete confidence in the expertise and skills of our specialists. They always go one step further to assist clients who have reached to us for assistance. When we provide drywall repair to get rid of mold damage, for example, we help to identify the precise cause of the problem and take the required steps for eliminating it. Leave us a note to ask all questions which you have and to obtain an accurate quote.